Negishi Forest Park (根岸森林公園, negishishinrinkouen) is a huge park with play ground, kids facilities and many trees. 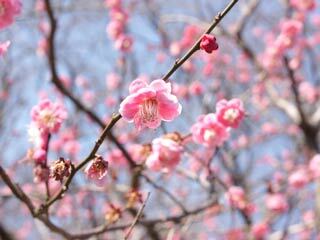 From end of February to middle of March, 120 kinds over 560 Ume, Japanese Plum trees, will bloom. In April, there are about 400 Sakura will bloom. Great place for Hanami and family recreation. This was the first western style horse race track in Japan. Every 3rd Sunday from 13:00 to 13:45, you can ride horse. On Saturday, at the same time you can feed horses.